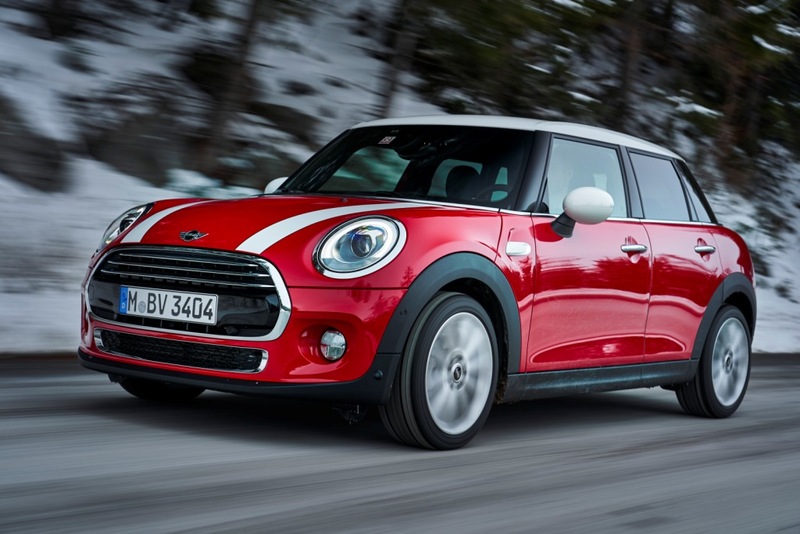 New for the MINI 3-Door Hatch, MINI 5-Door Hatch and MINI Convertible: 7-speed Steptronic automatic transmission with double clutch for extremely fast gear changes, a high degree of shift comfort and optimised efficiency. 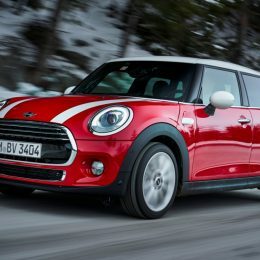 As a brand well known for it’s sporty character, MINI is set to further enhance it’s reputation with the introduction of a new transmission to the range. 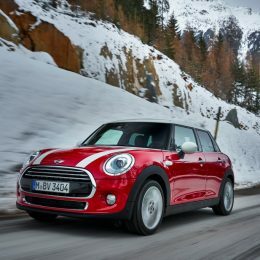 Extremely fast gear changes, a high degree of shift comfort and optimised efficiency – just some of the benefits of the new 7-speed Steptronic automatic double clutch transmission available for the MINI 3-Door Hatch, MINI 5-Door Hatch and the MINI Convertible. Customers can now order this new transmission in conjunction with selected engine varients as an alternative to the standard 6-speed manual transmission. The double clutch transmission is operated by a newly designed electronic selector lever. 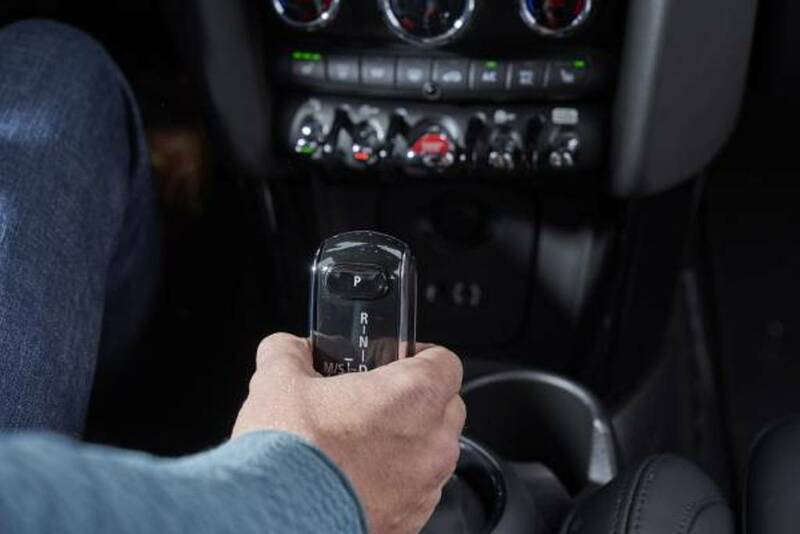 Further enhancing the premium charchtaer of the vehicle, the new selector lever always returns to its original position after changing between driving mode D, neutral position N and reverse mode. The parking lock is activated by pressing the P button. S mode can be activated by shifting the selector lever to the left from position D, allowing the driver manual intervention. 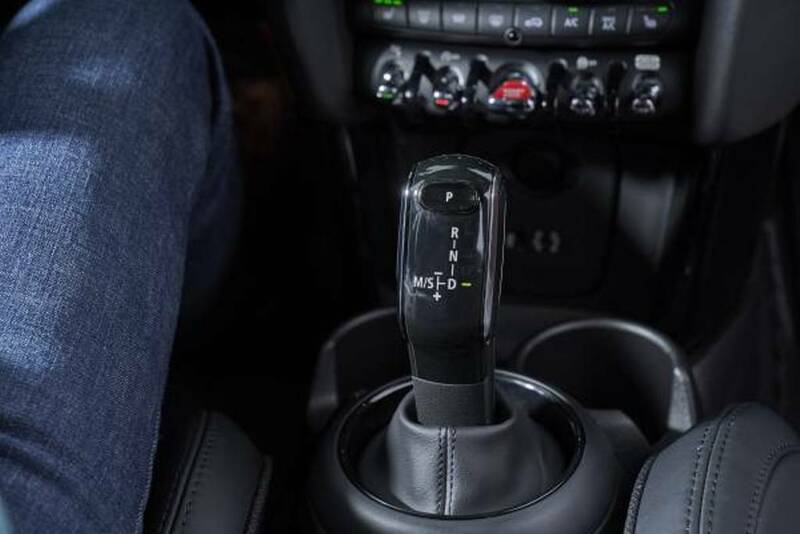 The electronic controller paired with the new double clutch transmission includes a shift strategy based on navigation data and supports both the engine start/stop function as well as coasting in order to reduce fuel consumption and emissions. Design principle drawn from motor racing. The design principle of the double clutch transmission has been adapted directly from motor racing. 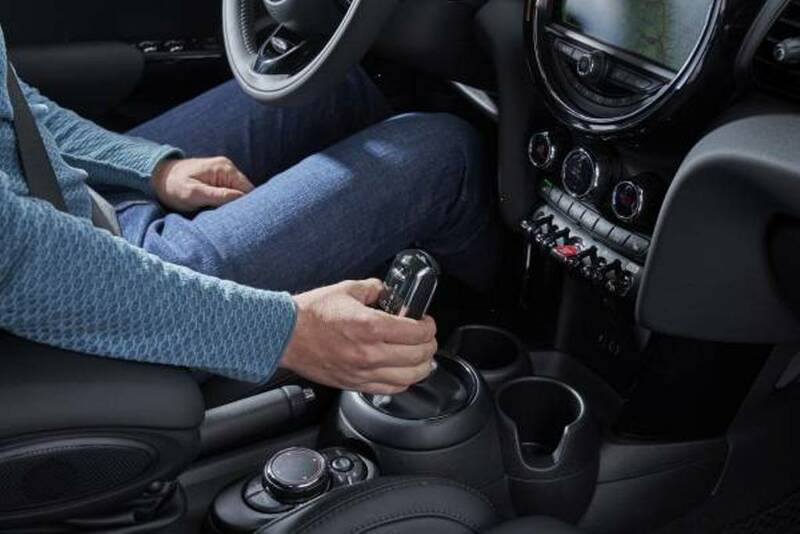 Just like on the race track, it allows MINI drivers to accelerate by enabling upward gearshifts without torque interruption. 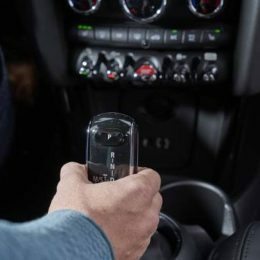 The driver can keep the accelerator pedel pressed down while the transmission control sets the shift points precisely – within just a fraction of a second the ideal engine speed is always available after the gearshift to ensure a continuous increase in speed. This is possible due to the specific structure of the double clutch transmission. It combines two partial transmissions in a single housing. The core element of the system consists of two oil-cooled wet clutches: one of these is responsible for the even transmission ratios (2, 4, 6) while the other is for the uneven ratios (1, 3, 5, 7) and reverse. During travel, one of the two clutches is open and the other is closed. They interact when the driver shifts up or down: opening one clutch activates closure of the second at the same time. Transmission control always knows which is the right gear. 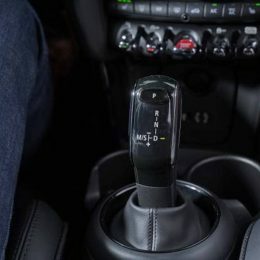 In order to have the appropriate gear ready for the next shift, the electronic control system of the new double clutch transmission permanently analyses the driver’s intentions and the situation on the road. This analysis incorporates numerous data points, including the accelerator position, engine speed, road speed and MINI driving mode. As a result, fast gearshifts can be made to respond appropriately to sudden changes. 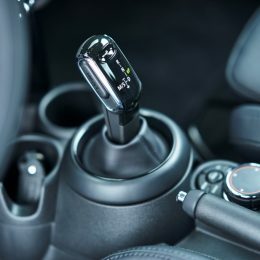 If acceleration has to be unexpectedly interrupted, for instance, the double clutch transmission takes no more than a fraction of second to make the next gear down available instead of the next gear up. The parallel opening and closing of the clutches makes acceleration and deceleration manoeuvres not just faster but also smoother. Acoustically, the gearshifts can only be perceived in the fast succession of rev changes. There are no load change reactions as are common with manual transmissions. Seven gears, enhancing performance and comfort. 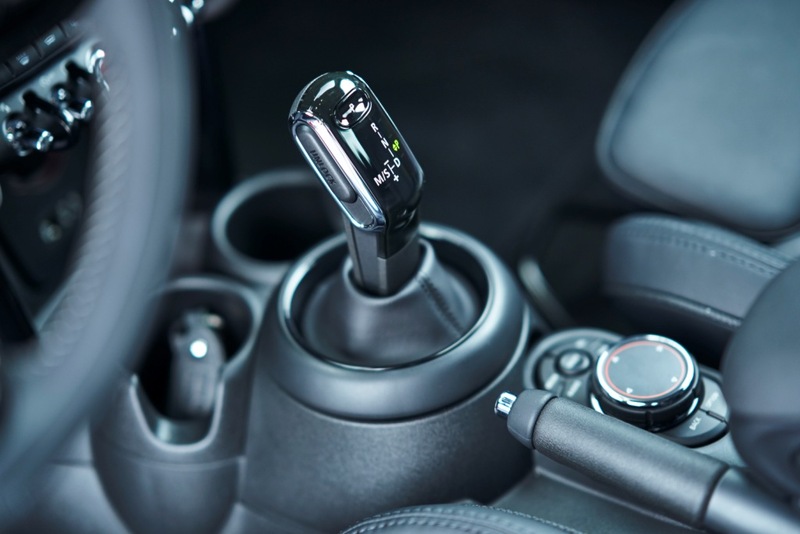 The increase in drive positions compared with the 6-speed manual transmission benefits both performance and comfort. The seven gear double clutch transmission enables a broader spread of gears, thereby reducing the differences in engine speed between the various drive positions. Together with the direct engine link that is characteristic of the double clutch transmission, the reduced rev jumps intensify driving fun when accelerating. This applies to automatic shifts in D and S modes as well as to manual interventions in the selection of drive positions in M mode. In S mode the gearshifts occur at increased engine speeds and with further increased shift dynamics. In S mode, the driver can also spontaneously switch to manual shifting. Here, manual gear selection is sequential. The selector lever is briefly moved forward to shift down and raised slightly in order to move up to the next higher gear. In automatic mode, the system can be enhanced by linking the transmission control to the optional MINI Navigation System. The double clutch transmission control unit is then able to draw on navigation data to adapt its shift strategy to the road ahead. When approaching a sharp bend or junction, for example, a downshift is made early in order to make use of the engine braking effect for deceleration purposes. When passing through two bends in quick succession, the drive position engaged after downshifting is maintained in order to avoid any unnecessary shifting and ensure the ideal gear is available for powerful acceleration on exiting the bend. Like a conventional converter system, the double clutch transmission also offers a crawl function that enables smooth set-off without needing the drivier to touch the accelerator pedal, thereby increasing comfort when manoeuvring or in slow moving or queuing traffic. The dual-mass flywheel with integrated centrifugal pendulum develops its positive effect when driving at low revs: it balances out rotational unevenness in the event of a sudden torque request, thereby promoting vibrational and acoustic comfort when accelerating out of the low engine speed range. Optimised efficiency with engine start/stop function and coasting mode. 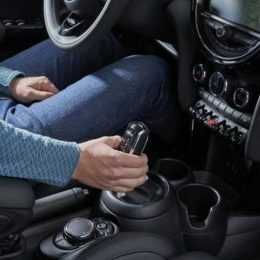 The 7-speed double clutch transmission electronic control system offers a wide range of progressive functions to increase the efficiency of the MINI. In order to avoid unnecessary consumption of fuel when stationary, the double clutch transmission also allows use of the engine start/stop function. In addition, the coasting function is available in both the MID and GREEN driving modes. Here the drivetrain is decoupled as soon as the driver removes their foot from the accelerator pedal. 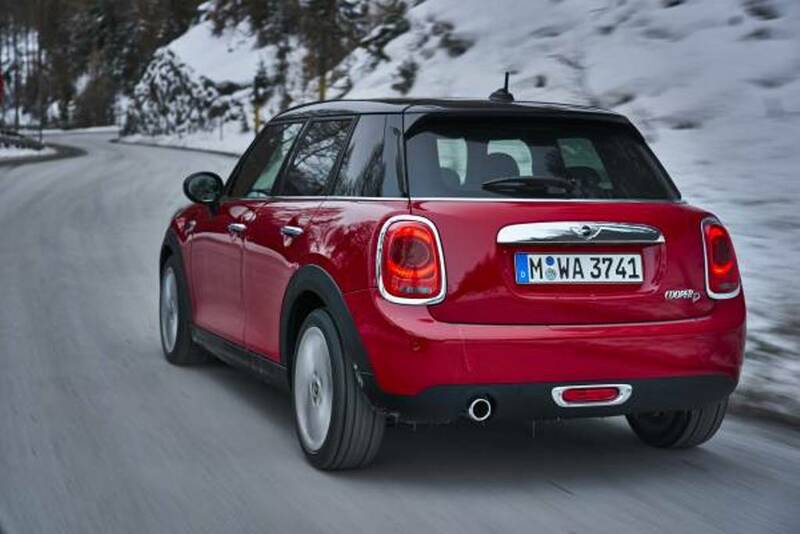 This allows the MINI to roll along at idling speed – free of any engine braking effect, minimising fuel consumption. 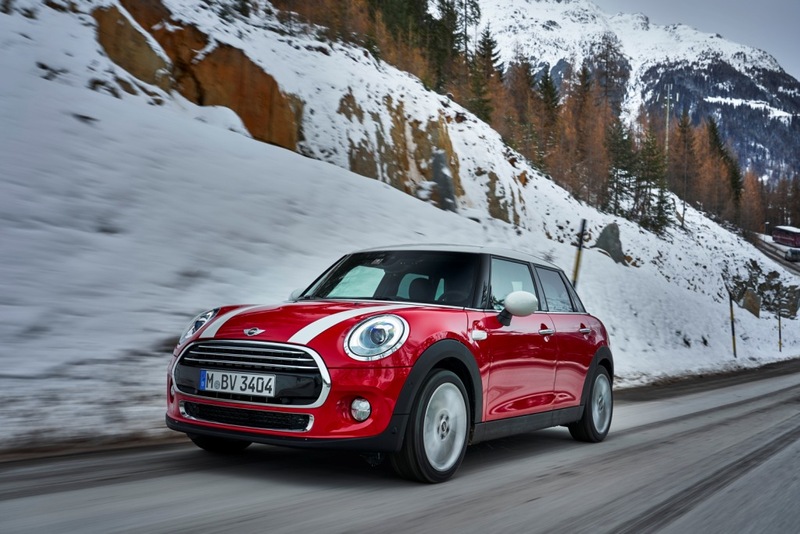 The coasting function can be adapted more precisely to the driving situation if the vehicle is fitted with the MINI Navigation System or Driver Assistance Systems. 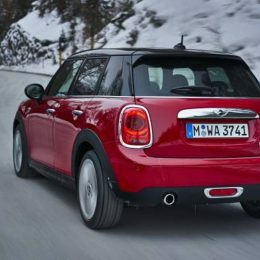 If there is a need to apply the brakes based on navigation data or camera images, for example, because the MINI is approaching a junction or another road user ahead, the coasting function is suppressed to make use of the engine braking effect.